I did a Q&A for a writer’s blog the other day. I thought I’d share the questions and answers here as well. Question: John, we love your sites BookMarketingBestsellers.com and Bookmarket.com (especially the free stuff page and your Book Marketing Tip of the Week newsletter!). How did you find your way into being a book promo expert? John’s Answer: I started out as a frustrated author waiting for a publisher to say yes. I finally decided to self-publish one of my books, but at the time (over 25 years ago), there wasn’t much information available on how to print books, market books, etc. So, before I started to self-publish, I did a lot of research. As a result, my first book was actually a directory of book printers (because I needed that information myself). Well, other authors and publishers loved that directory, but many authors then told me they needed more information on how to sell the books once they were printed. 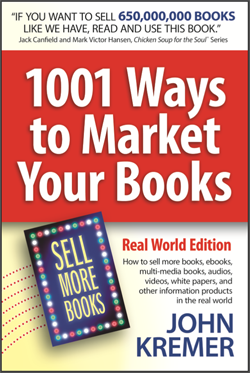 Well, I knew at least 101 ways – and so I wrote and published that book, which later became the 1001 Ways to Market Your Books for which I’m best known. Question: When is the best time to start promotion efforts for a manuscript or book? John’s Answer: I believe the best time to start book promotion is when you have the idea for the book. Right at that time of inception, start talking about the book. Start sharing your thoughts via your social networks and/or blog. If that idea intimidates you, then at least start 3 to 6 months ahead of your publication date. And then continue to promote your book up to three more years. I believe that every book deserves at least three years of attention from the writer, even if that involves only a few minutes each day. 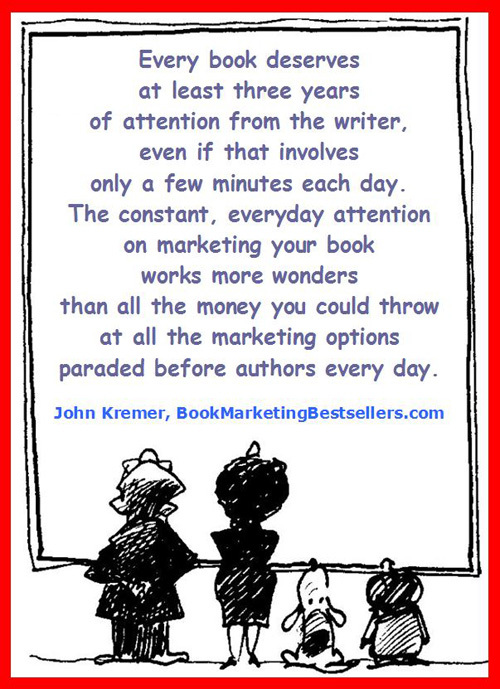 The constant every-day attention on marketing your book works more wonders than all the money you could throw at all the marketing options paraded before authors every day. Every book deserves 3 years of attention from the writer, even if that involves only a few minutes. Question: How can new writers (those who don’t yet have many publication credits yet) begin to reach out to an audience for their work? John’s Answer: Build a community, aka a tribe, online. The best way to do that is by writing a blog and then interacting with other like-minded bloggers, website editors, ezine editors, and other book authors writing on your subject. These interactions should drive traffic to your blog where you can capture the names and emails of potential readers. 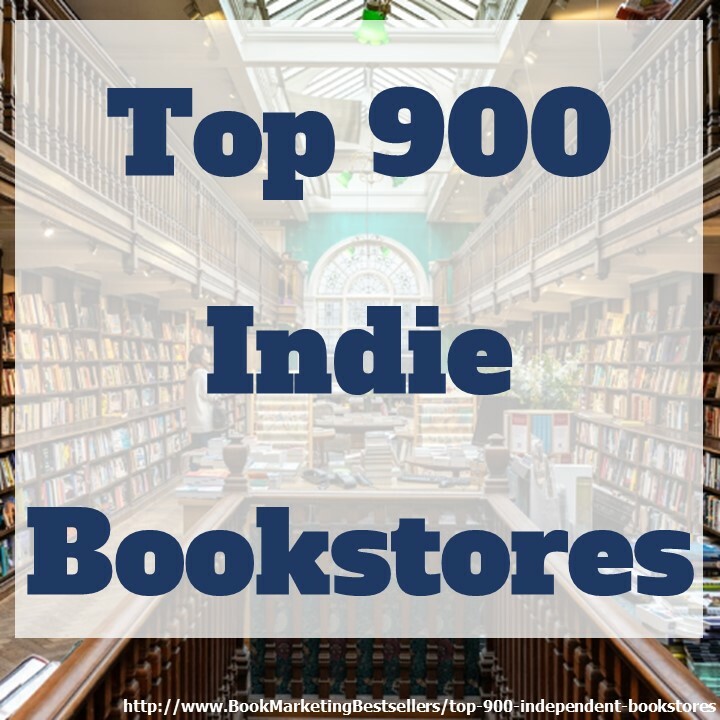 That way you begin to build a list of ezine readers who become the foundation of your fan club or tribe – the people who will help you promote your book when it finally comes out. Question: What advice do you have for authors who are introverts or who are not good at getting out there and selling their books? Any tricks to help them conquer their lack of love for promotion? John’s Answer: The neat thing about most Internet promotion and social networks is that they allow book authors to interact with the world while remaining at their desk. I love the power of online promotion because it allows us to reach people around the world from the quiet of our own homes. The key in any online promotion is to be honest, absolutely honest. Tell the truth. Speak your heart. That’s something any introvert can do, no matter how shy. Someone once said that the key to good writing is to cut a vein and let it bleed on the page. That is also true for book marketing, Internet marketing, publicity, social networking, and any other promotion. The key to online promotion is to be honest, absolutely honest. Tell the truth. Speak your heart. 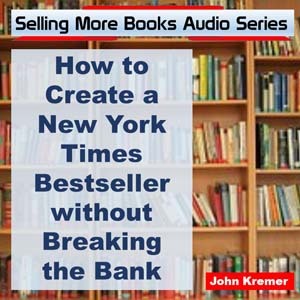 John Kremer is the author of 1001 Ways to Market Your Books, editor of the Book Marketing Tip of the Week ezine, and webmaster of a dozen websites.